Microsoft has just released a new version of its free antivirus, Microsoft Security Essentials 4.2.223.1 for Windows 7, Windows Vista and Windows XP. It's a major release but there's a problem -- If you are an existing MSE user, you will see an update KB2804527 in Windows Update. 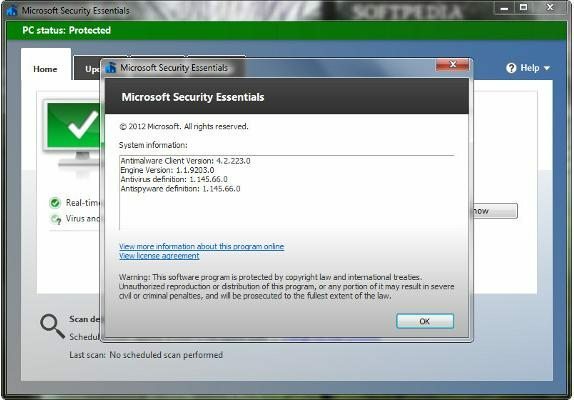 It is listed as "Update for Microsoft Security Essentials - KB2804527 (4.2.223.1)". Make sure to create a restore point before installing this update as a lot of people are getting an error (Error Code 8004FF80). MSE stops working if the update fails to install. So take care. MSE stops working if the update fails to install. So take care. I just updated one of my PCs without any issue. I afraid this anitivirus. I don't trust to it. On Windows 8 is Windows Defender but i use avg 2013 free is pretty good. 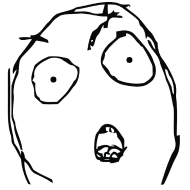 If you use common sense when surfing and dowloading you can use/trust MSE. If you live dangerous you should use better antivirus.